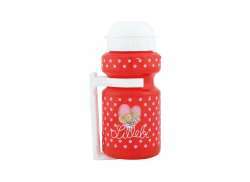 The largest and most affordable Online Children's Water Bottles Shop! Do you want to buy a Children´s Water Bottle online? Hollandbikeshop.com has the Children's Water Bottle you're looking for. Playing outside makes you thirsty. That's why it's nice to have a water bottle with you filled with water or even lemonade, so you can have plenty to drink, even on warm days. But of course it also looks pretty cool, having such a nice water bottle on your bicycle. At Hollandbikeshop.com you can find a wide choice of Water Bottles for the Children's Bicycle by brands like Bike Fashion, Disney, Hot Wheels, Pex and Widek. In our wide Children's Water Bottle range on Hollandbikeshop.com you can find Water Bottles for the Children's Bicycle in various colors, sizes and models, like water bottles with a 300 ml or 400 ml capacity, made of plastic or aluminum. So you'll surely find the Children's Water Bottle you're looking for. 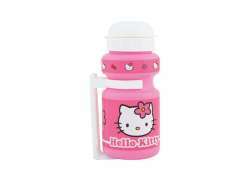 Hollandbikeshop.com is dealer of Children's Water Bottles and has a large and affordable range. We also often have Water Bottles for the Children's Bicycle on sale or in our outlet, so keep an eye on our sale button. 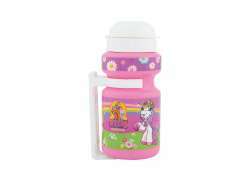 The largest and most affordable online Children's Water Bottle bike shop!